The SXSW conference and festivals held in Austin, Texas are one of the most famous places for fun, new, creative ideas to be shared – so it’s only right that the AArrow Sign Spinners were featured heavily throughout. The AArrow Sign Spinners of Austin teamed up with AArrow living legend Rico El-lis to promote a number of interactive experiences. 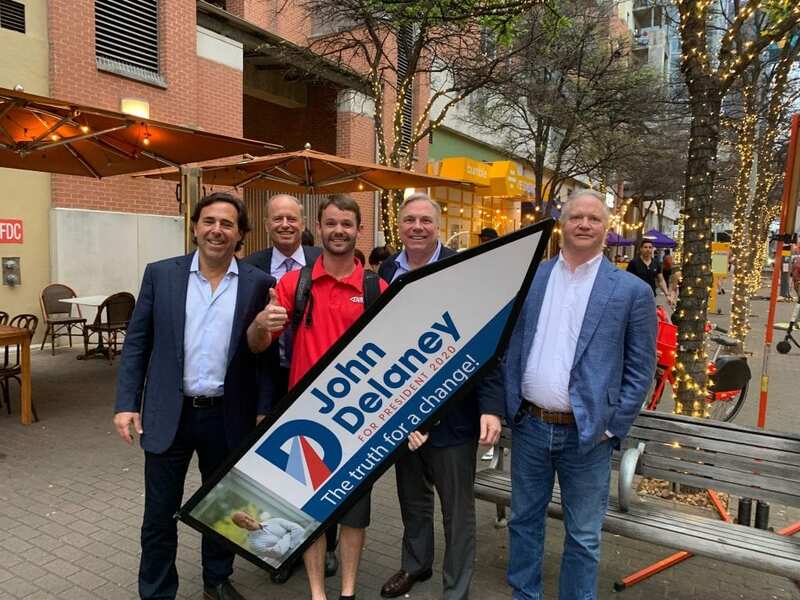 From the surging in popularity new social media platform TikTok to promoting hopeful 2020 presidential candidate John Delaney – AArrow even took part in promoting a virtual scavenger hunt among the festivities. On top of all the fun, American Instagram personality @travque spotted Rico and posted his performance, at last count 250k views! Amazing job Rico! Click here to check out the action on Tik-Tok! Click here to check out Rico on Instagram! AArrow Austin spinning for presidential candidate John Delaney!